Big Brother is getting a new online recap show for Season 20, and the co-hosts are two very familiar faces. Big Brother host Julie Chen revealed Sunday that Celebrity Big Brother houseguests Marissa Jaret Winokur and Ross Mathews will return to host a new show called Off the Block with Ross and Marissa on Facebook Watch for the upcoming season. 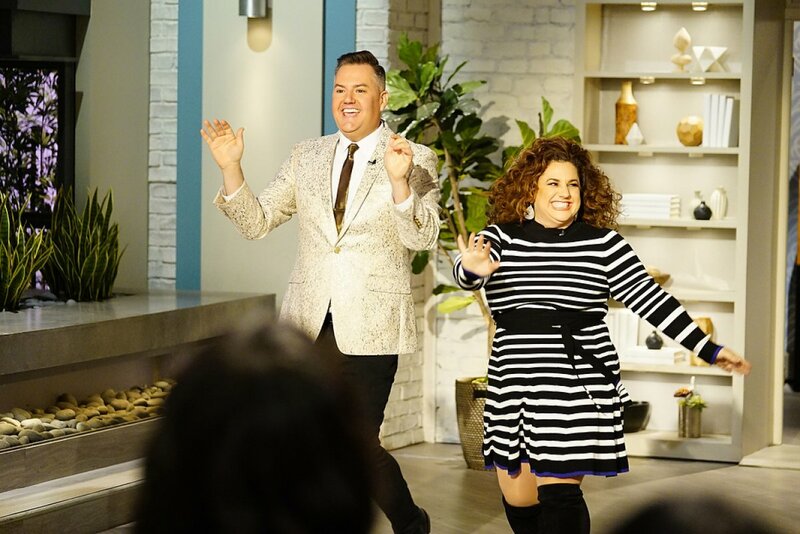 "#BBCeleb alums @MarissaJWinokur and @helloross are back... and hosting a new show called Off the Block with Ross and Marissa on Facebook Watch every Friday this summer! @CBSBigBrother," Julie captioned an Instagram video on Sunday. In the video, Julie revealed, "The winner and runner-up of Celebrity Big Brother are going to be back here with us this season. You're going, 'Huh? Excuse me?' Let me tell you. This season, when a houseguest gets evicted, they'll go to our new show on Facebook Watch called Off the Block with Ross and Marissa." Marissa was crowned champion of the inaugural season of Celebrity Big Brother on CBS, which aired earlier this year, while Ross finished in second place. Ross was also named "America's Favorite Houseguest" based on home-viewer votes. Julie continued in the Instagram video, "We loved them so much on BB Celeb, we thought, 'Who better than to continue the conversation with them after I'm talking with them?' Plus, they're Super Fans! So you know they'll be just as into it as we all are." The first episode of Off the Block with Ross and Marissa will debut June 29, and fans will be able to watch the show every Friday through the finale. This weekly-recap show will be similar to Jeff Schroeder's show on CBS All Access. It's unclear whether CBS All Access will still air some type of Big Brother special. Big Brother's 20th season is set to premiere with a two-night event on Wednesday, June 27 from 8-10PM ET/PT and Thursday, June 28 from 9-10PM ET/PT. Following the two-night premiere, Big Brother will air on Sunday nights from 8-9PM ET/PT beginning July 1; Wednesday nights from 9-10PM ET/PT beginning July 4; and Thursday nights from 9-10PM ET/PT beginning July 5. Like seasons past, the Thursday night broadcasts will feature live evictions. Big Brother will continue to follow a group of people living together in a house outfitted with 94 HD cameras and 113 microphones, recording their every move 24 hours a day. Each week, someone will be voted out of the house until only one houseguest remains and wins the $500,000 grand prize. To meet the 16 houseguests who will be competing on Big Brother's 20th season, click here.